Hurry over to get a One-Year Sam's Club Membership Package with a $10 eGift Card for just $30 or choose a One-Year Sam's Club Membership Package with a $10 eGift Card, a $25 Vudu Movie Credit, plus Instant Savings for $45. Offer valid for new Sam's Club Members only; not valid for those with a current membership or those who were Sam's Club members less than 6 months prior to February 1, 2018. If you need to check your renewal date, call 1.888.746.7726 and choose option #2, then option #1. Please have your membership card or statement on hand. Offer valid for U.S. Sam's Clubs only; not valid in Puerto Rico locations. 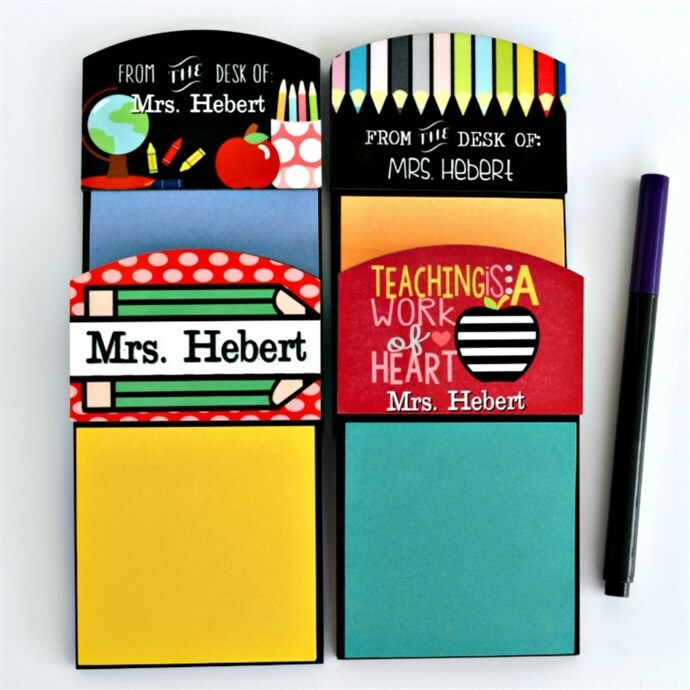 Check out these Teacher Gift Post-it Holders | 8 Designs $8.99 (retail $18.50). Looking for something unique and thoughtful for you teachers this year? Our beautifully printed, Personalized Post-it Holders are the perfect gift! Bundle with pens and extra notepads for a gift they will love and use for years to come! Choose from 8 Great Designs! 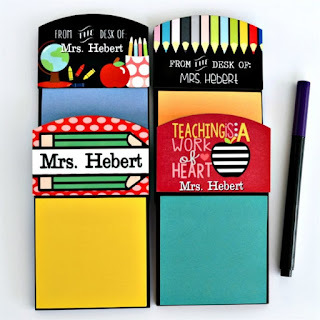 Each note holder will come personalized with the teacher's name up to 20 characters. Please enter the name exactly as you would like it to appear (i.e. Mrs. Smith or Mr. Williams). Fonts and colors will be a shown, but keep in mind that custom print colors may vary slightly from monitor colors. You will LOVE your Personalized Take It All Tote for $22.49 (Retail $40). Our SUPER generously sized TAKE IT ALL Tote is designed for MAXIMUM tote-age. Exterior pockets to carry anything from water bottles to wet wipes. Interior zipper pocket to keep your keys and phone or anything you need to keep secure. Roomy interior to carry blankets, towels, jackets, food...You need to take it? This bag will tote it. 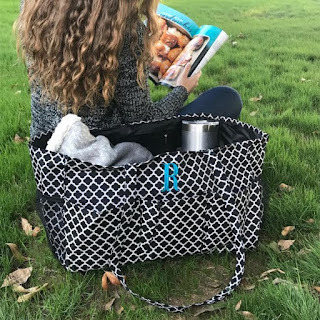 Great for tailgates or kids sports games, day trips or sleepovers. Longer handles to accommodate carrying on your shoulder. Today ONLY - shopDisney is offering FREE Shipping with ALL Orders using code FREESHIP at checkout. 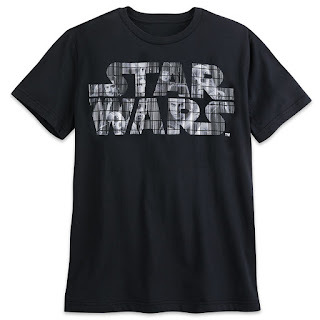 Great time to check out the Clearance Event with Up to 50% Off and Graphic T-Shirts for Kids & Adults Buy One, Get One 50% Off. Groupon is offering an Extra 20% Off Local with code SAVE20 at checkout. Can't wait to try the HelloFresh offer Up to 52% Off. NOTE: I chose Two Weeks of Family Box Classic Meals for Four (Three Recipes a Week; 24 Total Meals) for $80 after coupon code SAVE20 (Retail 210). No way I can go to the store at that price!!!!!!! After purchasing this deal, you will need to visit the website listed on your voucher or click HERE to complete redemption. See voucher for more information. 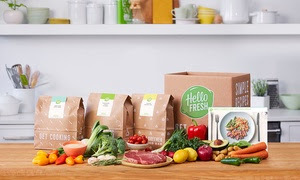 For each week, HelloFresh will deliver ingredients for three meals for two or four people, depending on option chosen. Classic boxes include meat and fish. Today only this Excalibur Food Dehydrator is just $169.99 (Reg. $300) at Woot.com! Shipping is FREE for Amazon Prime Members or only $5 flat rate. The 3926TB by Excalibur comes with 9 trays, a total of 15 square feet of drying space, 26 hour timer and an adjustable thermostat temperature control that ranges from 105°F to 165°F preserving the nutrients in herbs and produce and making it safe to dehydrate meat for jerky. The fan, heating element and thermostat are in the back of the unit, so cool air is drawn in, heated and then distributed evenly over each tray. The patented Parallex Horizontal Airflow is exclusive to Excalibur and helps the food dehydrate faster, retain more nutrients and look and taste better, without tray rotation. 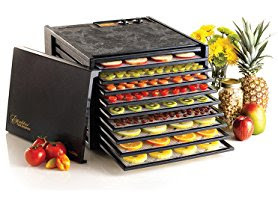 Trays can be removed to raise bread, make yogurts, and use with arts &amp; crafts.This dehydrator is perfect for big families, big gardens or a big heart for dried food! Parallex Horizontal Airflow Excalibur's patented Parallex Horizontal Airflow provides fast, even dehydrating. The fan, heating element, and thermostat are in the back. Cool air is drawn in, heated, and distributed evenly over the trays. Hyperwave Fluctuation Technology With the Excalibur Hyperwave Fluctuation technology keeps the food temperature low enough to keep the enzymes active, but the air temperature gets high enough to dry food, overcoming yeast, mold, and spoilage. Ordinary dehydrators produce constant, unchanging heat causing 'case hardening'. RUN over and browse around this Top Blowout ONLY $14.99 (Retail $42). It's time to stock up on all of your favorite tops for a great price! $3.99 for the first item and $2.99 for each additional item. US only. Seller usually ships within 3 business days. Ships no later than Sun, Mar 4. Don't forget to grab your Free Friday Download at Kroger! Get FREE Clif Nut Butter Filled Single Bar OR Luna Rica Single Bar. I need this RIGHT now! 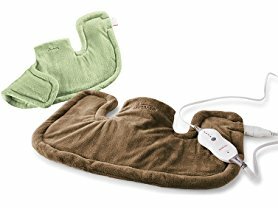 Today only and while supplies last this Sunbeam Renue Heat Therapy Neck and Shoulder Wrap Heating Pad is just $21.99 (Reg. $49.99) at Woot.com! Shipping is FREE for Amazon Prime Members or only $5 flat rate. Surround yourself in warmth while you help soothe away tension and help ease away pain. The Sunbeam Renue Heat Therapy Neck and Shoulder Wrap helps provide therapeutic relaxing heat directly to the area of stress in neck &amp; shoulders. This area-specific pad combines the benefits of innovative heat therapy with luxurious micro-plush fabric to offer spa-style relief any day of the week. The 4 heat-settings provide the level of intensity you need to begin feeling better. Includes a convenient 2-hour auto-off and an extra-long power cord.